1. Azad Sandesh 25 Pcs. (Sweet 003)..
1. 2 Pcs of oven baked chicken Sandwich from Domino's Pizza..
1. Synthetic CiphoneBlouse PieceIncluded How our saree sales work ?Upon receipt of your order, ..
1. Red Carnation and Black Forest WhiteFloral arrangement of Red Carnation 11 pcs andWhite Lily 3pcs..
1. Pink Carnation with Candle..
1. Manchurian Chicken for 2 (G-RFOOD-009)..
1. Balupuram Silk SareeBlouse PieceIncluded How our saree sales work ?Upon receipt of your orde..
1. Silk ButickHow our saree sales work ?Upon receipt of your order, our representative will visit yo..
1. Shrimp Fried Rice Combo for 2 (G-RFOOD-013)..
1. 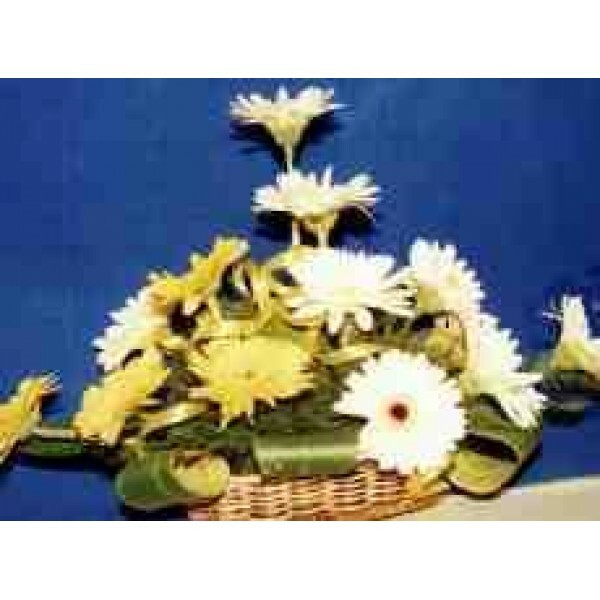 Romantic PinkFlorist: Exotica fruits and FlowersA beautiful arrangement of pink gerbera &am..
1. Flower Bouquet # 09..